Have you written a children’s book and want to publish it traditionally through an independent press? 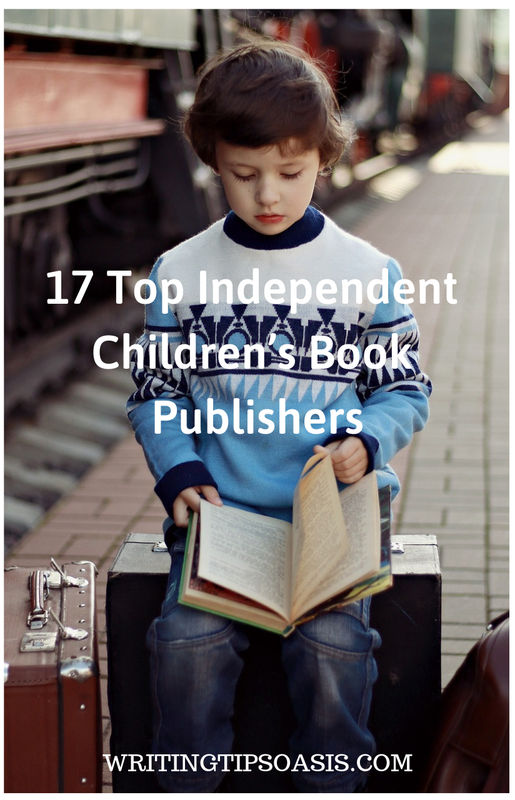 Below you’ll find 17 top independent children’s book publishers. Established in 1976, Andersen Press is an independently-operated children’s book publishing company based out of London, UK. Andersen Press has worked with a number of award-winning authors, and publishes books intended for children up to twelve years old. Some of their titles include “Alexander and the Wind-Up mouse” by Leo Lionni, “A Little Bit of Winter” by Paul Stewart, and “War and Peas” by Michael Foreman. Andersen Press is currently accepting manuscript submissions for children’s illustrated books and juvenile fiction through regular mail. If you’re sending fiction, you should include the first three chapters of your project for consideration. If submitting a children’s picture book, you’re asked to send copies of your artwork along with a self-addressed stamped envelope. For more information, you can review Andersen Press’ submissions guidelines. For general inquiries or more information, you can also reach the publisher’s team via email. Annick Press is an independent Canadian publishing company based out of Willowdale, Ontario. Founded in 1975, Annick Press is a publisher of fiction and nonfiction for children and young adult audiences, and have published a wide range of award-winning books such as “Eyes and Spies” by Tanya Lloyd Kyi, “The Sound of Freedom” by Kathy Kracer, and “The House of One Thousand Eyes” by Michelle Barker. Annick Press is currently accepting unsolicited manuscript submissions for children’s picture books, middle grade fiction, young adult fiction, and non-fiction for younger audiences. All submissions can be sent via email. You’re strongly encouraged to review the publishing company’s submissions guidelines before sending any material in for consideration. Annick Press is currently interested in working with writers from diverse backgrounds. Based out of Cambridge, Massachusetts, Barefoot Books is an independent publishing company that specializes in children’s books. Established in 1992 by co-founding mothers Nancy Traversy and Tessa Strickland, Barefoot Books operates on the premise that books should celebrate diversity and spark imagination and a need for learning. Some of their award-winning titles include “How Big Is A Pig?” by Clare Beaton, “The Gigantic Turnip” by Aleksei Tolstoy and Niamh Sharkey, and “Catch that Goat!” by Polly Alakija. They are unfortunately closed to submissions at this time, but strongly encourage you to check back at a later date. For general inquiries or more information, you can reach the team at Barefoot Books via email. Berbay Publishing is an independent children’s book publishing company that’s based out of Kew East, Australia. Specializing in producing books intended for young readers, Berbay is an award-winning publishing company that’s produced titles like “Night Walk” by Alison Binks, “Heads and Tails: Insects” by John Canty, and “The Blue Bench” by Albert Asensio. While the publishing company is not actively seeking submissions at this time, you’re encouraged to submit a query letter through the company’s online contact form. Alternatively, if you’re an author with literary representation, you can have your literary agent submit a query letter on your behalf. Candlewick Press is an independent publisher of children’s books and young reader fiction based out of Somerville, Massachusetts. Established in 1992, Candlewick Press strives to produce high-quality picture books and cutting-edge children’s fiction. They’ve published a handful of award-winning titles like “Raymie Nightingale” by Kate DiCamillo, “Sam and Dave Dig a Hole” by Mac Barnett, and “Home” by Carson Ellis. Candlewick Press is unfortunately not open to accepting unsolicited manuscripts at this time. If you’re an author with literary representation, you’re strongly encouraged to have your literary agent submit a query letter or book proposal on your behalf. If interested in your project, a member of the Candlewick press editorial team will contact you promptly. Charlesbridge Publishing is an independent publisher of children’s books based out of Watertown, Massachusetts. They produce books for younger readers, middle grade readers, and young adults in both fiction and nonfiction categories. Several of their award-winning titles include “A Long Pitch Home” by Natalie Dias Lorenzi, “Baby Pig Pig Talks” by David McPhail, and “Calabazas” by Jacqueline Farmer. They are currently accepting manuscript submissions via regular mail. They ask that you do not include an SASE, as materials will not be returned after consideration. They are always happy to work with established and new authors, as the team at Charlesbridge Publishing values unique voices and stories that will inspire young readers. You can find more information bout their manuscript submissions guidelines here. Fat Fox Books is an independent children’s book publishing company that’s based out of Kent, UK. Recently founded in 2014, Fat Fox Books aims to publish books intended for readers between the ages of three to fourteen years old. They love to work with established authors, but are always on the lookout for new talent. Some of their titles include “I Have an Orange Juicy Drink” by Andrew Sanders, “Little Bell and the Moon” by Giles Paley-Phillips and Iris Deppe, and “Prankenstein vs. Yankenstein” by Andy Seed. Due to the overwhelming volume of manuscript submissions that they’ve received, Fat Fox Books is currently closed to submissions at this time. You’re strongly encouraged to check back at a later date when this status may change. For general inquiries or more information, you can reach the team at Fat Fox Books via email. Flash Light Press is an independent publishing company that specializes in children’s illustrated picture books. Based out of Brooklyn, New York, Flash Light Press strives to produce high-quality books with enriching stories and beautiful illustrations. A number of their titles have gone on to win literary awards, including books like “Alley Oops” by Janice Levy, “Carla’s Sandwich” by Debbi Herman, and “Getting to Know Ruben Plotnick” by Roz Rosenbluth. They are currently accepting submissions for fictional children’s books via email. Their editorial team is primarily interested in books targeted toward readers between the ages of four to eight, that are under 1000 words in length, have universal themes, and deal with topics about family or social situations. For more information, you can review their submission guidelines. Holiday House is an independent publishing company that specializes in publishing children’s books. Based out of New York, New York, Holiday House was first established in 1935 with the express purpose of publishing books for children. Some of their latest releases include “Look and Be Grateful” by Tomie dePaola, “The Croaky Pokey!” by Ethan Long, and “Fish Wish” by Bab Barner. They are currently open to receiving manuscript submissions via email. They note that due to the high volume of submissions they receive, they will only contact those authors whose projects have piqued their interest. The also note that they do not publish mass-market books like pop-ups, activity books, sticker books, coloring books, or licensed titles. You can review their submission guidelines for more information. Imagine That is an independent publishing company based out of Suffolk, UK, that primarily specializes in fiction and nonfiction intended for younger readers. Some of their picture book titles include “Always There Bear” by Trudi Granger, “Big City Kitty” by Susie Linn, and “Bubble Trouble” by Oakley Graham. They are currently accepting manuscript submissions via email or post. They note that due to the high volume of submissions that they’ve received as of late, they will only contact those authors whose projects have interested them. You can expect to hear a reply within six to eight weeks. For more information, you can review their submission guidelines. For general inquiries or more information, you can also use their website’s online contact form to reach a member of their team. Kane Miller is an award-winning independent children’s book publisher that’s based out of San Diego, California. Some of their newest releases include titles like “Axel & Beast: Castel of Cyborgs” by Adrian C. Bott, “Be Brave!” by Dr. Sharie Coombes, and “Boy Band of the Apocalypse” by Tom Nicoll. They are unfortunately not accepting submissions at this time, but strongly encourage you to check back at a later date. For general inquiries or more information, you can contact a member of the Kane Miller team through their website’s online contact form. As a small, independent publishing company based out of Little Neck, New York, Literary Mango primarily publishes children’s picture books, as well as young adult science fiction and fantasy. Some of their titles include “Start with Sorry” by PT Finch, “Animals Can Sing” and “Thinking of Mom” by MO Lufkin. They are currently accepting submissions for children’s picture books via email. For more information, you can review their submission guidelines. If interested in your project, a member of their editorial team will reach out to you promptly to discuss marketing and publication. For general inquiries or more information, you can also contact a member of the Literary Mango team through their website’s online contact form. Based out of Monrovia, California, Native Ink press is an independent publishing company that specializes in producing nonfiction and children’s books. As an imprint of Ink Smith Publishing, Native Ink Press first began in 2013, publishing only a handful of titles every year. Some of their children’s books include “Baby Moo’s Great Escape” by Julie Flanders, “The Many Amazing Lives of Hildebear” by Dudley B. Dawson, and “The Gorilla Picked Me!” by Michele McAvoy. They are currently accepting children’s books submissions from US-based authors only. They ask that you submit your manuscript via email, along with your contact information, a brief author bio, a marketing plan, and a synopsis of your story. For more information, you can review their submission guidelines. For general inquiries or more information, you can also reach out to the team at Native Ink Press through their website’s online contact form. Nimbus Publishing is an independent Canadian publishing company based out of Halifax, Nova Scotia. They publish a wide range of fiction and nonfiction, and have an ever-expanding children’s book category targeted to all ages of young readers –including a category for younger French readers! Some of their titles include “Baby’s Lullaby” by Jill Barber, “Bud the Spud” by Stompin’ Tom Connors, and “Bounce and Beans and Burn” by Doretta Groenendyk and Shannon Murray. They are currently accepting submissions for children’s fiction, and are especially interested in representing authors from Atlantic Canada. You can submit a query letter regular mail. You should include information about your intended audience, a marketing plan (if applicable) a brief author bio, and the first three to four chapters of your book. Be sure to include an SASE if you would like your material returned to you. For more information, you can review their submission guidelines. Nosy Crow is an independent publishing company based out of London, UK. Specializing in children’s books, this publishing company has won several awards for their amazing publications. Some of their titles include “A Bear is a Bear (Except When He’s Not” by Karl Newson and Anuska Allepuz, “A Chase in Time” by Sally Nicholls, and “A Duckling Called Button” by Helen Peters. They are unfortunately closed to submissions at this time, as they are currently going through a high volume of submissions. You’re strongly encouraged to check back at a later date. For general inquiries or more information, you can still contact the team at Nosy Crow via email. Founded in 2011, Pajama Press is an independent Canadian publishing company out of Toronto, Ontario. They specialize in producing books for children and young adults, and publish a wide range of picture books, early chapter books, middle grade novels, young adult novels, as well as literary nonfiction. Some of their titles include “A Bear in War” by Harry Endrulat and Stephanie Innes, “A Good Day for Ducks’ By Jane Whittingham, and “A+ for Big Ben” by Sarah Ellis. Due to the high volume of submissions that they’ve received, Pajama Press is unfortunately closed to submissions until February 28th, 2019, at which point they will reopen. In the meantime, you can review their submission guidelines and prepare your manuscript for consideration. For general inquiries or more information, you can contact their team via email. Based out of Winnipeg, Manitoba, Peanut Butter Press is a small, independent Canadian publishing company that specializes in children’s picture books. Some of their titles include “Brandon’s Big, Bad Barfday” by Tina Powell, “Airplanes in the Garden: Monarch Butterflies Take Flight” by Joan Z. Calder, and “Emma’s Gems’ by Anne Renaud. They are currently open to accepting children’s picture books after first receiving a query letter via email or regular mail. You should include your contact information, a brief author bio, any relevant credentials or experience, and a short synopsis of your book. If interested in your project, a member of Peanut Butter Press’ team will reach out to you. Are there any other independent children’s book publishers that need to be on this list? Please tell us about them in the comments box below!